rigorousintuition.ca • View topic - Equatorial Guinea Coup Plot link to London bombings? Re: Equatorial Guinea Coup Plot link to London bombings? Weird little one. Sounds like Obiang is holding some sort of sword over Mann's head, or has bought him. Not that it's necessarily false though. Bourdon hates Obiang, and it's the kind of place Soros would consider in need of intervention. Former British mercenary Simon Mann, who led a failed coup attempt in Equatorial Guinea in 2004, has accused US billionaire George Soros of plotting to overthrow the country's government. He said he had warned President Teodoro Obiang Nguema, Africa's longest serving leader, of the alleged plan in 2011. But he said he did not have any proof, and Mr Soros has not yet commented. Simon Mann made the remarks as he was testifying on behalf of Mr Obiang's son at a high-profile trial in Paris. Teodorin Obiang Nguema is accused of using public money to fund his jetset lifestyle in France. 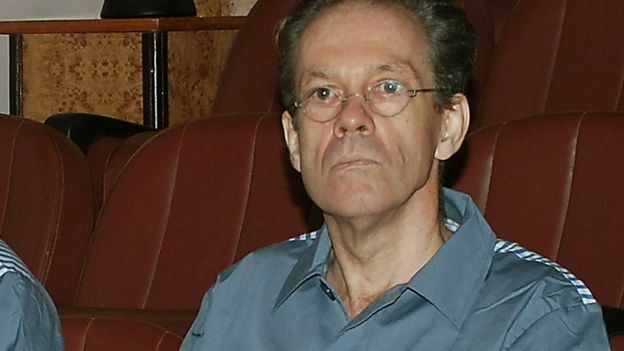 Simon Mann, 65, a former commando and businessman, was arrested in Zimbabwe in 2004 and extradited four years later to Equatorial Guinea, where he was sentenced to 34 years in prison. But one year later he was released after being pardoned by Mr Obiang. In his testimony in a Paris court, he also accused William Bourdon, a lawyer for the anti-corruption NGO Transparency International, of being part of the alleged plot, as well as exiled opposition leader Severo Moto Nsa and Lebanese businessman Ely Khalil. Both Mr Moto and Mr Khalil were involved in the failed coup attempt of 2004, which sought to install Mr Moto as president of the oil-rich West African country. "I explained to the president it [the coup] could be by any means," he told the court. "They were looking at all options, including legal." However, he said he could not "prove" his claim, saying: "I don't have written evidence." When he was asked if he had been paid to give his testimony, he said he only had his expenses covered. Mr Bourdon, who is representing civil plaintiffs in the case against the president's son on behalf of Transparency International France, said the allegations were "extremely grave", saying that Simon Mann "had plumbed the depths of filth." Outside the court, Simon Mann said that the high-profile trial of Teodorin Obiang Nguema was an attempt to "destabilise and overthrow" the "recognised and legitimate regime" of Equatorial Guinea. Teodorin Obiang Nguema, who is also the country's vice-president, is accused of buying a mansion and sports cars in France with a fortune amassed from public funds. His six-storey Paris villa, estimated to be worth more than $100m (£80m), is located on Avenue Foch, in one the most prestigious neighbourhoods of the French capital. It reportedly boasts a cinema, spa, hair salon and taps covered in gold leaf. Mr Obiang, who was not in court, denies the allegations. Equatorial Guinea has questioned France's right to put him on trial, arguing Mr Obiang has diplomatic immunity.